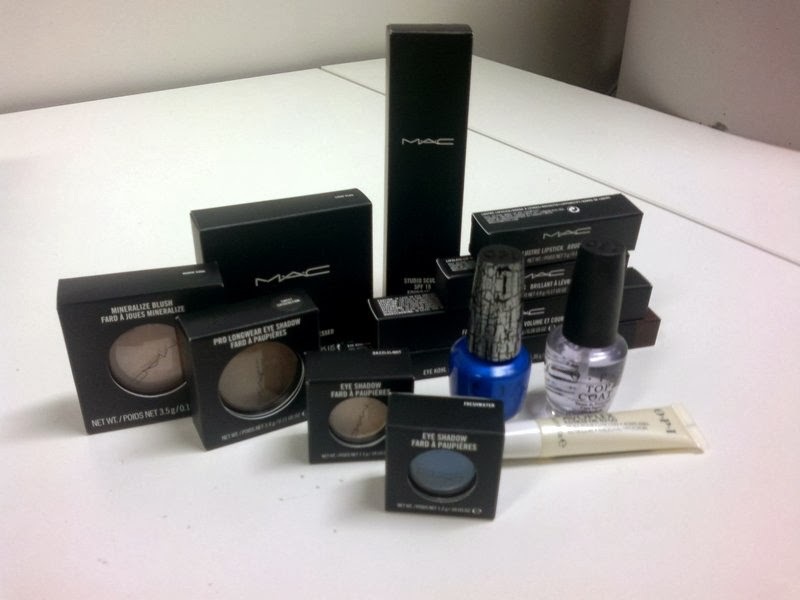 I may have gone on a little spending spree at the MAC counter during my lunch break. I needed a good foundation and mascara (I don't really own one) but was so impressed with the little makeover the artist gave me that I bought a 'few' more products. My reasoning being that they will last, I deserve them, they aren't chocolate (so well within 12wbt rules) and when I wear them all to the wedding on Saturday I am going to feel so much happier with how I look. Ooohhhh, Mac! I haven't bought makeup for years! Can't wait to see how your nails turn out! I had a slip up today. But it was Emerson at Big W so I feel that really I am embracing Frugal February. Aren't I? That card is too cute. The card is so cute!!! Love it when boys make cards. Heaps jealous of your MAC too. I know what you mean. It's time for me to go back to the MAC connter. My makeup is almost gone. Have a great time at the wedding. Safe travels. That is a really sweet card! Love the MAC. I had a slip up today buying MAC...but you're right, its better than chocolate!